Welcome to Fantasyland, Woody Weingarten version, circa 2015. 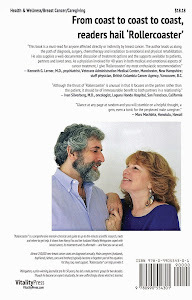 During an interview just published online, I implied that if most of the 35 million caregivers in the United States bought my new VitalityPress book, "Rollercoaster: How a man can survive his partner's breast cancer," I'd stop worrying "about getting out my message that there can be light and life at the end of the proverbial tunnel." Maryann thinks photo shows my message. But my late mother's DNA legacy, a throbbing worry gland, might not let me off the hook so easily. The interview, which went online last Wednesday, Jan. 28, was carried out by Texas blogger, columnist, novelist and playwright Maryann Miller. It marked my initial dip into somebody else's pool. Here is the lion's share of the interview (for the whole enchilada, check out Maryann's blog, "It's Not All Gravy"). Hi, Woody here. I’m thrilled to be interviewed/interrogated by Maryann, but I must admit I’m a little nervous. Although I’m a chronological geezer, I’m actually a virgin — at appearing on someone else’s blog, that is. LOL, Woody, that’s the best introduction I’ve had from one of my guests. And now that you are no longer a virgin at this, I do hope you will find other blogs on which to do a guest post. Q. Please tell our readers how you came to write your latest book. I wrote “Rollercoaster” because I believed my experiences, research and expertise could help those going through a life-threatening disease or its aftermath. 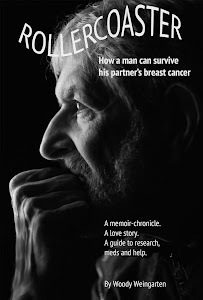 I think male caregivers, often the forgotten part of the breast cancer equation, are particularly in need of help. But women also can learn what their partners may be feeling. According to The New York Times, there currently are 35 million caregivers in the United States. If most of them bought “Rollercoaster,” I’d be able to stop worrying about getting out my message that there can be light and life at the end of the proverbial tunnel. Q. You have been through the ordeal of having a spouse with breast cancer twice. Did the fact that your first wife had it, make it harder when Nancy was diagnosed? In a word, yes. It was incredibly sad, and frightening, when the mother of my children ultimately died from the disease. But the fear has faded over time, and Nancy, I’m happy to report, is alive and thriving 20 years later. Q. There was a lot in the book about chemo-brain, and I know from my sister’s experience that the memory loss is a problem. Did Nancy find that her memory improved after being past chemo for some time? Q. What is the most unusual or interesting research you have done for your books? The most interesting by far was discovering that almost any medical findings, no matter how definitive a report seemed, are likely to be contradicted by other research in the following weeks, months or years. The pendulum keeps swinging back and forth, confusing practitioners, patients and caregivers. That was equally interesting to me as a reader, too, Woody, as was the chapter on medications. Believe it or not, it’s a cumulative memory consisting of a series of accidents. I was hit by a moving car while playing ball in the street. I fell off a school wall into a tree limb that pierced my chest. I cut my knee when I recklessly stepped through the windshield of a tractor-trailer that was sitting, shattered, on the ground. The reason it’s my “fondest” memory is simple — I survived. And we are so glad you did, Woody. I’d stay right here. I’m mature enough to have learned more than a thing or two about “giving back” and enjoying life without being too old to make those things happen. Great thought with which to end the interview, Woody. As you say in your book, looking mortality in the face does give you a new perspective on life. Thanks so much for being my guest today. "Rollercoaster" a comprehensive memoir-chronicle and guide to up-to-the-minute scientific research, meds and where to get help. 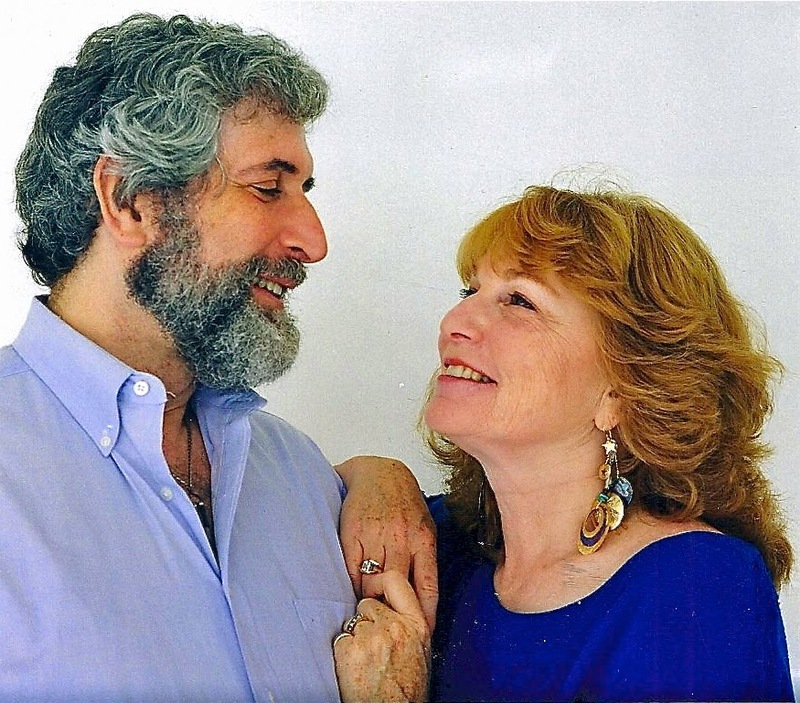 It shows how Nancy Fox and her husband Woody Weingarten coped with breast cancer, its treatments and its aftermath — and how you can as well. Almost 250,000 new breast cancer cases are diagnosed annually. Male caregivers (husbands, boyfriends, fathers, sons and brothers) typically become a forgotten part of the equation. Yet they, too, need support. “Rollercoaster” can help provide it. Weingarten, a prize-winning journalist for 50 years, has led a male partner’s support group for two decades. Though he became an expert reluctantly, he now unflinchingly shares what he’s learned. LD Masterson: Very nice meeting Woody. I wish this book had been available when my dad was taking care of my mom. Maryann Miller: Thanks for stopping by, LD. I, too, wish the book had been available when my sister went through her surgery and treatment.